Your cabinets are some of the most important storage features in your home, so the style you choose can make a big difference in how convenient your kitchen and bathroom are to use. While framed cabinets offer traditional charm and exceptionally stable construction, frameless cabinets have their own advantages that often make them a better option for small and modern-style homes. Before you choose, consider what each can offer you in terms of both appearance and usability. 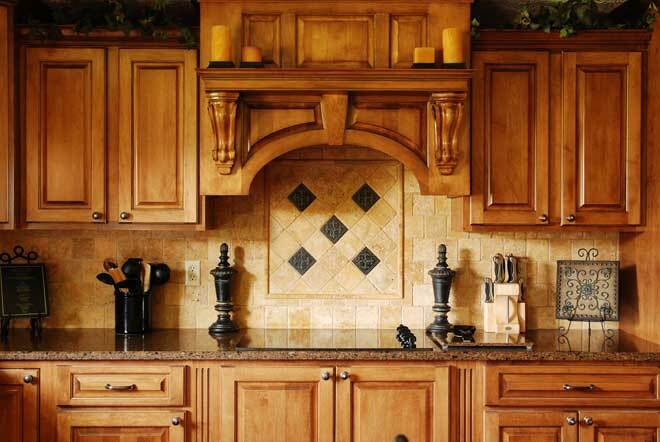 Framed cabinets have long been the go-to style for American cabinetmakers. These cabinets are built with a “face frame” on the front that’s typically 1 1/2 to 3 inches wide. The cabinet doors are mounted onto this frame with hinges that are either hidden or visible, depending on the cabinet’s design. Many framed cabinets also have a center stile and mid-rail that form a cross over the opening of the cabinet to add extra stability. Standard overlay – The cabinet doors cover only around 1/2 inch of the frame, leaving 1 to 2 1/2 inches visible. Full overlay – The cabinet doors cover all but approximately 1/4 inch of the frame. Standard inset – Rather than overlaying the cabinet frame, inset cabinet doors and drawer fronts are fit within the frame. This way, the whole frame can be seen. Beaded inset – These inset doors and drawer fronts are detailed with a narrow groove along the edges, creating a more polished, finely crafted appearance. In a framed cabinet, the shelves and doors are attached to the face frame, which lends the entire cabinet greater stability. With this extra support, the shelves are less likely to sag under the weight of heavy items. On a wall that isn’t perfectly flat, framed cabinets will be somewhat easier to install and will generally end up looking more uniform than frameless models. The long-standing popularity of framed cabinets has earned them a classic, time-honored appeal. They’re ideal for creating a warm, homey look in the kitchen. Love the traditional elegance of crown molding along the top of kitchen cabinetry? With framed cabinets, you’ll be able to mount the molding directly to your cabinets’ face frames for easier installation. One of the biggest downsides of framed cabinets is that the frame takes up space that could otherwise be used for storage. Because the storage space in each cabinet and door is reduced, you might end up needing to install more cabinets or drawers than you would with frameless models. While this might not be a problem in a large home, it can be a real inconvenience in a small space. What’s more, cabinets that have a center stile and mid-rail across the front are harder to access. This limited access can make it awkward to get large items, such as long casserole dishes or large soup pots, in and out of the cabinet. Due to their more complex design and the extra material that goes into constructing them, framed cabinets cost between 10 to 20 percent more than their frameless cousins. 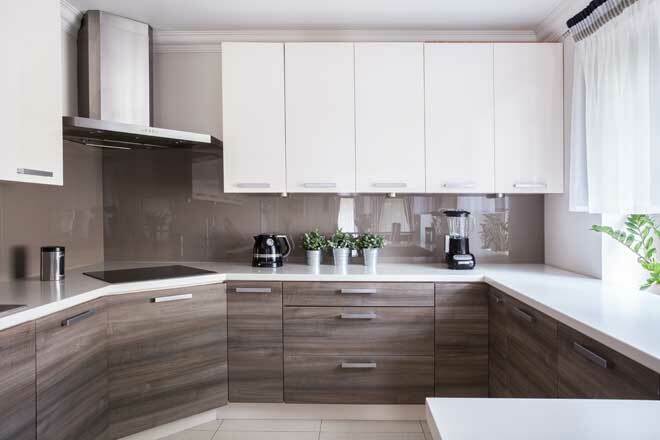 In Europe, frameless cabinets are the standard and thanks to their streamlined look and roomy interiors, their popularity is growing in America, too. This cabinet design is also known as full-access because eliminating the face frame allows greater access to the cabinet’s interior. Frameless cabinets are built using a box-like construction, relying on thick walls to provide stability. The door overlays the edge of the cabinet sides almost completely, and the hinges are concealed. Without a frame to take up space, frameless cabinetry, and frameless drawers, in particular, offer more space for storage. While the extra space in each might seem insignificant, it adds up. It can make the difference between having enough cabinet space for all your cookware or having to store some on top of the refrigerator. Frameless cabinets are also built without center stiles and mid-rails, so it’s easy to get large items in and out of them. If the modern minimalist look is your thing, frameless cabinets are a perfect fit. With no frame creating breaks between each cabinet, frameless cabinets offer greater visual continuity for a streamlined, contemporary look. Their simpler construction means frameless cabinets generally cost less than framed models made of the same material. If you’re looking into buying laminate, thermofoil or melamine cabinets, you’ll find a better selection among frameless models. Especially in wide frameless cabinets, cabinet bottoms and shelves are at risk of sagging if you store heavy objects, such as small appliances, on them. The banding on the cabinets’ front edges is prone to peeling over time, although this isn’t difficult to repair. In general, installing frameless cabinets isn’t harder or easier than installing framed models, but frameless cabinets tend to be trickier to install when the walls aren’t flat. Installing frameless cabinets can be harder if you don’t have the European hardware designed for them. For example, you’ll need hanging rails to mount cabinets to the walls and leg levers to support cabinets on the floor. While most home improvement stores that sell frameless cabinets also offer this hardware, not all do. The style of cabinet that’s right for your home depends largely on the ambiance you want to create and the amount of storage space you need. If you’re planning a traditional or farmhouse-style kitchen and space isn’t an issue, framed cabinets will help you get the look you want. 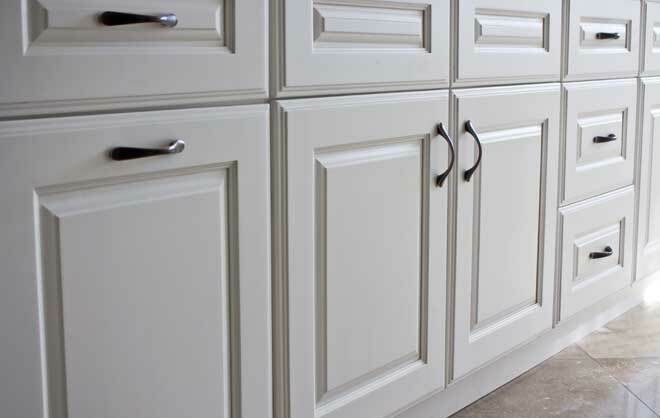 The range of options for cabinet fronts also gives you more control over your kitchen’s aesthetics. If you’re aiming for a more modern or minimalist vibe, the clean lines of frameless cabinets are a better fit. Just as importantly, the extra storage space they offer is useful for making the most of a small kitchen.